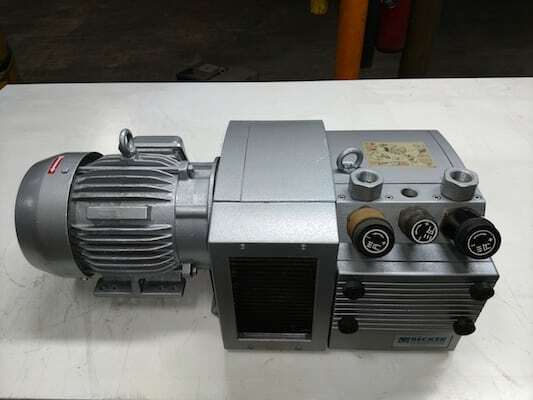 Northern Compressor specializes in sales and service of rotary screw, HDI reciprocating and centrifugal air compressors along with rotary vane vacuum / compressors. Fast turnaround for balancing and tuning, vibration and oil analysis, and much more. Competitively priced air compressors, rotary vane pumps and blowers from the nations top brands. Affordable components for America's most recognized and trusted brands. OEM and aftermarket consumables. Machine repair services beyond the compressed air industry. Proudly serving clients throughout the state of Wisconsin since 1980, Northern Compressor provides comprehensive repair for compressors and vacuum pumps with fast turnaround and affordable pricing. We also refurbish and supply fully functioning equipment at a significantly lower rate than new models would cost. We’re experts in repairing some of the nation’s most popular brands, including Becker pumps, Rietschle, Busch, Gast products, and more. While your rotary vane pumps are being repaired, we offer the use of our loaner pumps to keep our customers up and running. Northern Compressor keeps an impressive inventory of air compressors, vacuum pumps, and related items such as air filters, oil filters, oil separators, and more on hand for our customers’ convenience. Please use the form below to send us an Email. We can also be reached at 920-757-6304. We look forward to talking with you.